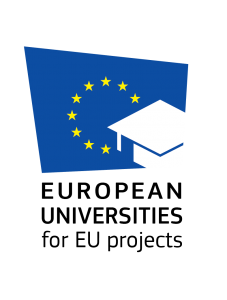 Eu-Gen European Generation | European Universites for EU Projects|Results now available from Spanish, Italian and Croatian Consortium! 07 Gen European Universites for EU Projects|Results now available from Spanish, Italian and Croatian Consortium! In 2019 further 173 young students are about to leave under the transnational initiative European Universities for the EU (EU4EU). Trainees are from three national mobility consortia including 35 European universities from Italy, Spain and Croatia. They will refine their skills in writing and managing European projects focused on different fields, from research and training, environment and energy sources, to new media, business development, fundamental rights and migration. All this is made possible once again thanks to the financing of the Erasmus+ national projects, coordinated by Sapienza ImpreSapiens, Campus Iberus and Udruga Informo, with the support of EuGen and EPA-European Projects Association.